M.Night Shyamalan is back with another psychological thriller in Split. He wrote, produced, directed and even made a short cameo somewhere in the middle of the movie. Split is a movie about Kevin, a man with multiple personality disorders played James McAvoy who kidnaps these three girls and locks them up in a basement. 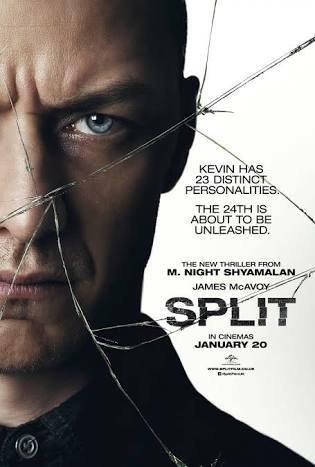 If you were thinking Split sounds like just another psycho thriller then you’ll be wrong – well, actually you’ll be right but not in the way you think you are. Unlike most similar movies which focuses on the victims trying to get away from the psycho, M.Night Shyamalan focuses on the reason the bad guy is doing what he’s doing. You get to understand how truly disturbed the main character is with his multiple personalities. Just like he did in Unbreakable starring Samuel Jackson and Bruce Willis. I liked the little reference to it close to the end of Split and the cameo by Bruce Willis. James McAvoy in Split deserves every award there is for his work in this movie. The way he switched personalities from a lady, to a nine year old, to a middle aged OCD sufferer and a few more – 24 personalities in total – was incredible. I think it’s safe to say this is his best work yet as an actor.